The critically acclaimed documentary on former Nirvana frontman Kurt Cobain entitled, “Kurt Cobain: Montage of Heck" which was shown at the recent Sundance Film Festival, has finally released a trailer giving fans a peek on what to expect when HBO premieres the film this 4th May 2015 in North America. Written, directed and produced by Brett Morgen, film is basically about Cobain’s life showing how he started off with a happy childhood to his ambitious artistic drive in his later years, where he seeked to sustain his fame and a normal life with his wife Courtney Love. In 1994 at the age of 27, Cobain was found dead in his room and it was ruled that his death was suicide by shotgun. Before his untimely demise, he suffered from heroin addiction, illness and depression. Along with some personal home-video footage, the two-minute trailer shows interview footage with some of Cobain's family and friends including his daughter Frances Bean Cobain, who is also the executive producer of the film. There are also several animation scenes to aid the storytelling aspect of the film. 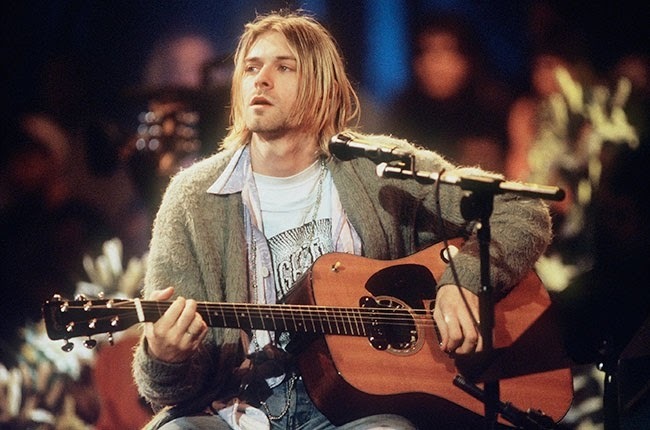 Other than that, Morgen has also promised that the documentary film will include Cobain's ‘mind-blowing’ 12-minute never-before-heard acoustic song. Here is the trailer of the documentary film.